The presentation, manipulation, and storage of information are important functions necessary for you to run your business. These basic tasks are normally accomplished using a suite of office automation software, such as Microsoft Office. Unfortunately, that software can be expensive if you need to install it on multiple computers. Fortunately, you can take advantage of office automation software for small businesses without incurring high costs. This is especially true if your business doesn't require specialized applications, and you don't have to perform significantly complex tasks with your software. For example, Google Docs provides a powerful suite of web applications that you can use at no cost. Also, a group of developers at OpenOffice.org has collaborated to create a set of free office automation software tools that compare favorably with the Microsoft Office suite. OpenOffice offers a wide range of compatibility with the more familiar office software file types, including .doc, .ppt, .xls, and .pdf. Best of all, OpenOffice software is free and there are no license fees required for its use. "Writer" is a fully functional word processing program and desktop publishing software package that is suitable for business use. It has all the features that you would expect to see in a professional word processor, such as formatting, application of styles, spell check, auto-completion, and many others. And, it is easy enough to use for a beginner to use to write a quick memo, while also being powerful enough for an author to write a complete book. "Calc" is a spreadsheet program that is intuitive (making it easy to learn) yet it has a full set of numerical data analysis tools. This spreadsheet package is powerful enough to allow you to complete your numerical tasks quickly and efficiently. "Calc" is a replacement for Microsoft Excel. "Impress" is an outstanding presentation software package that allows you to deliver your message in a clear and exciting way. With the Impress tools included, you can create simple presentations in minimal time, yet it is sophisticated enough to create the most complex and stunning presentations you can imagine. "Impress" is a replacement for Microsoft PowerPoint. "Base" provides you with all the power of a fully functional database program. You can define tables, forms, queries, and reports to match the special data processing needs of your business. To help you create your database programs efficiently, "Base" provides easy-to-use wizards that speed the development process. "Base" is a replacement for Microsoft Access. "Draw" lets you draw anything, from a quick sketch to a complicated set of plans, and even allows you to do layouts and organizational charts. You can then manipulate the objects on the screen to create realistic images and graphics that will represent your ideas in a clear and concise way. "Draw" is a replacement for Microsoft Visio. 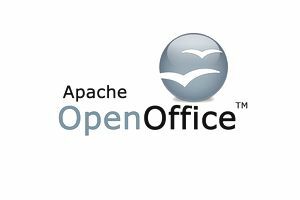 You can find out more about OpenOffice, and its office automation software, including how to download and install it for your business by going to OpenOffice.org.